Birds love to bathe and having a water fountain in your yard is one of the best ways to attract the feathered creatures. 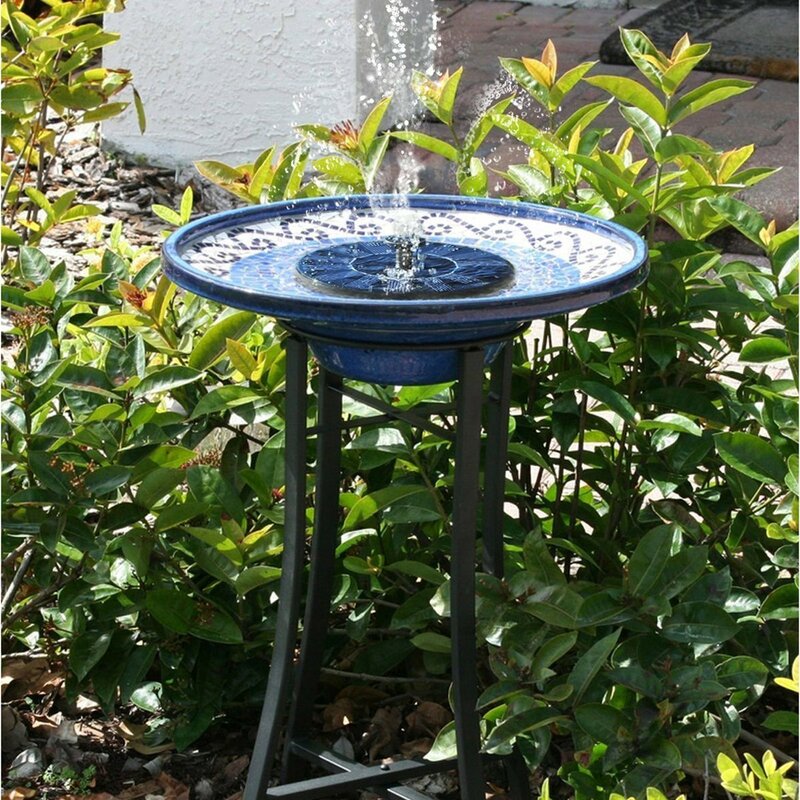 You can choose among multiple beautiful and practical bird bath fountains. To make the most of the opportunity, you’ll simply have to follow a couple of steps. Before doing anything else, decide what type of bird bath fountain you want to buy. The first consideration is about size. It will depend on the bird species you want to attract. Smaller birds prefer shallower fountains that allow them to step on the bottom while enjoying a bath. A larger model can provide enough space for a bigger number of birds and reduce the risk of territorial conflicts. Water movement: birds are drawn to moving water. A product that features cascades or a drip is perfect for people that are getting a bird bath for the first time. It will attract the birds immediately and no other measures will be required. Heating: a heated fountain will keep the water from freezing in the winter. Birds do grooming during all seasons. Having access to water during the cold months is going to be a perfect treat for them. Some bird bath fountains have solar panels that enable the environment-friendly heating of the water. Design specifics: there are bird bath fountains that are mounted on a pedestal and there are hanging models. Choosing one variety or the other is all about available space and aesthetic preferences. Ease of cleaning: bird baths made of concrete are the easiest ones to clean. Having a bigger number of ornaments and details will necessitate more thorough scrubbing. Some bird bath fountains feature automatic water drainage and refilling, reducing the amount of work you’ll have to do. You’ve bought the bird bath fountain, it’s now time to choose the right spot for it. Keeping a few safety considerations in mind will simplify the process. A bird bath has to be sturdy and stable. Don’t place it on an inclined surface or in a spot that will make the fountain shaky. It’s also a good idea to place the bird bath in a shady place. Keep it away from shrubs and trees. This type of placement will ensure visibility and protect the birds from predators. The bird bath is to be placed away from the feeder. By keeping the two at a distance, you’ll resolve the territorial issues some species may have. The final step will involve focusing on bringing birds to the garden. As already mentioned, a bird bath fountain that features flowing or dripping water will do that instead of you. Birds are drawn to the sound of running water. They’ll flock to the fountain as soon as you install and turn it on. Having a perch right next to the bird bath is also a good idea. You may have noticed that birds don’t really submerge themselves in the water. They splash in a pool and then move away to clean their feathers. Giving them a spot to perch on will enable the birds to spend more time in your backyard. The same applies to having a fountain and feeder combo. Wild birds often find it difficult to locate a good and reliable source of food. By giving them food and water in one spot, you’ll encourage the birds to come back day after day. 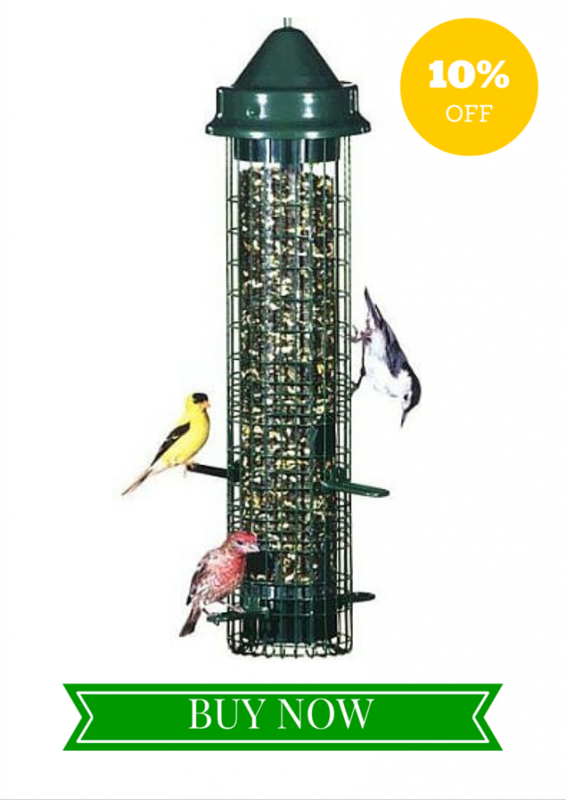 Choose a feeder and seeds that appeal to the species you’re interested in. Birds need clean water. The final thing you can do to enjoy birds in your backyard every single day is keep the fountain clean. It’s a good idea to empty the fountain every single day. Occasionally, you’ll need to use a hard brush to scrub away the impurities and algae that form in the water. A bird bath that is very filthy will have to be treated with bleach and scrubbed before it gets refilled with clean water. That’s it! Sit back and enjoy! Sooner or later, birds will be drawn to the bird bath in your backyard. If you keep the bathing conditions good, you’ll have many little fellows coming back to your place time and time again. Once you accomplish your goal, you can enjoy activities like bird watching and photography. These can be truly relaxing and fulfilling.